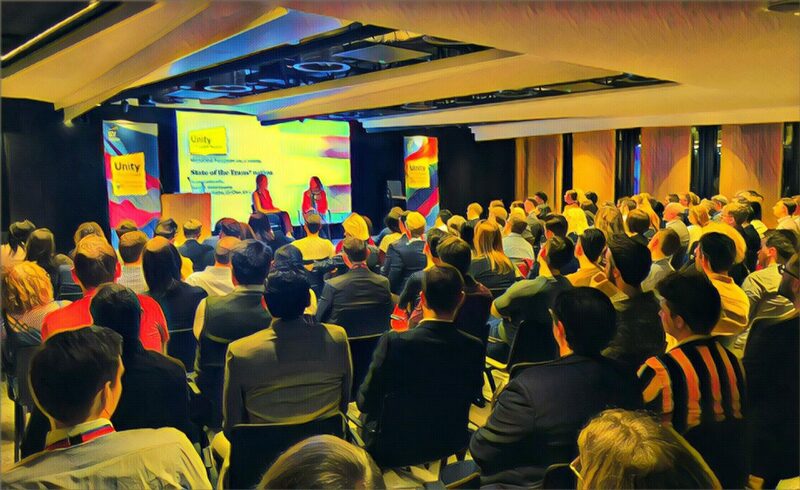 On Wednesday, 27 March, the EY Unity network held a high-profile event to mark TDOV, hosted by Sandra Thompson, Newcastle Office Managing Partner. Activities included a candid conversation with guest speaker Hannah Graf MBE, former Officer of the British Army, patron of Mermaids and ambassador for LGB&T Sport Cymru. Hannah gave a valuable insight into her journey coming-out as a transgender individual in the British Army and the support she received from both the organisation and her colleagues. She also discussed the challenges that currently face the transgender community in the UK. After the conversation with Hannah, six EY transgender colleagues took to the stage and took part in an excellent panel debate moderated by Leng Montgomery, Sainsburys, a prominent trans spokesperson. The EY panelists (including representatives from London, Paris, Newcastle and Manchester) shared their own stories and experiences of being trans in the workplace and wider society. This provided great insights into their lived experiences and clear call to action for people who want to be more active allies of the trans community, including: Listening to trans people; call-out transphobic comments/behaviour; be a visible ally (such as through wearing a trans lanyard or pin from example) and in general be a friend to your trans colleagues, someone who is there to be supportive and helps them belong.